Two special events happen this time of year: the Girl Scouts sell cookies and the big old game. But sorry Super Bowl Number whatever, girls rule because who can sell us something faster than an adorable six-year-old in pigtails? Nope, not even a 5 million dollar Super Bowl commercial. Today, I bought a box (or nine) of these darling little sweets. I mixed them up and made them Super Bowl ready by stirring an entire box of Thin Mints to create Super Minty Crispies. Step 1: Butter a standard size muffin tin. Place 1 mint cookie upside down in the bottom of each muffin cup. Set aside. Place 18 cookies in a zip top bag and crush until fine with a rolling pin. Step 2: In a large saucepan, melt butter on medium heat. It will melt, bubble, turn clear golden and finally start to turn brown. Keep stirring and scrape any butter bits from the bottom of the pan. Step 3: Remove pan from heat and mix in the marshmallows until the marshmallows are melted and smooth with the butter. Mix in the salt, rice cereal, and crushed cookies. Stir until combined. 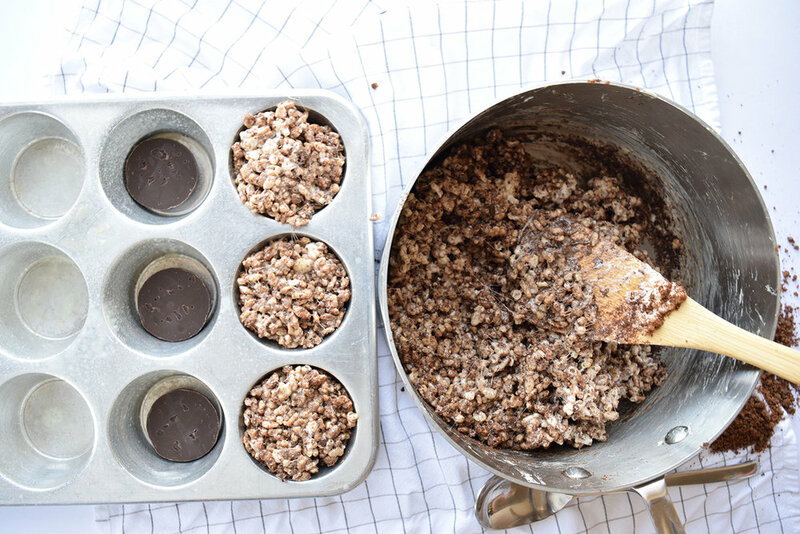 Step 4: Press a spoon full of the crispy mixture into each muffin tin on top of the mint cookie. Chill in the refrigerator for 10 minutes. Step 5: Melt the mini white chocolate chips in a bowl, for 30-second increments, stirring every 30-seconds until smooth. Place the melted chocolate in a small zip-top bag, seal shut and snip off a tiny corner off the bag. Pull the muffin tin from the refrigerator and with a butter knife gently pull out each rice treat and flip over to reveal the cookie side. Pipe a football shape on top of the cookie. Let dry 1 hour before serving. 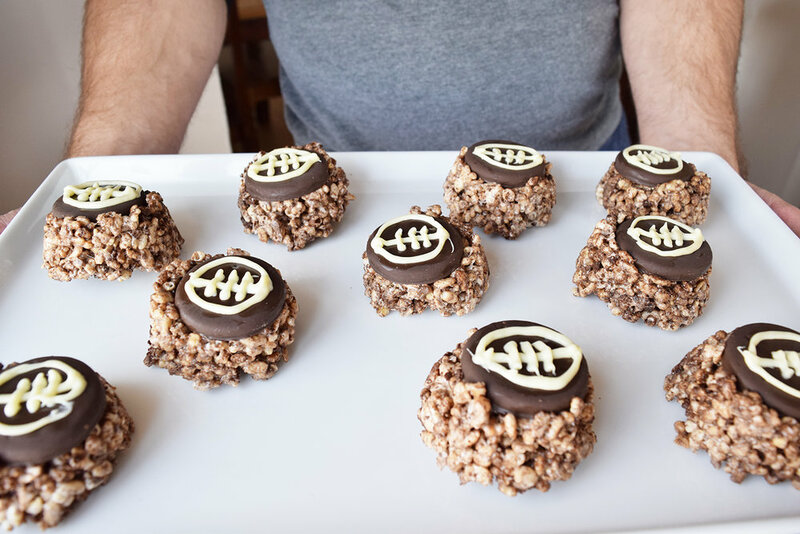 This recipe is a touchdown thanks to the Girl Scouts! Jan 31 This Is Why You Should Never Underestimate Simple Toast.